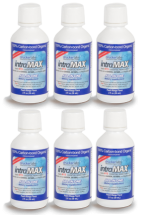 intraKID provides an array of vitamins, trace and macro minerals, probiotics, antioxidants, digestive enzymes, fruits, vegetables, essential fatty acids, bioflavinoids, amino acids and much more! 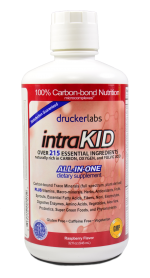 intraKID travel size (59ml bottle) is an organic, all-in-one liquid multi-vitamin and nutritional supplement specifically formulated for children over the age of 4. It contains trace minerals, vitamins and other nutrients into an unbelievably great-tasting raspberry formula. 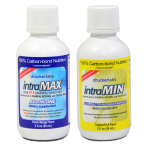 If you love IntraMAX, then your kids will love IntraKID! The great-tasting formula is a perfect blend of 71 organic trace minerals and over 215 essential ingredients derived from fruits, vegetables, and herbs. It provides the perfect balance of nutrients that growing children need! Provides an absolutely solid nutritional foundation for healthy growth and development. Liquid formula is much easier than pills for children to swallow! Excellent for filling nutrient spectrum gaps.